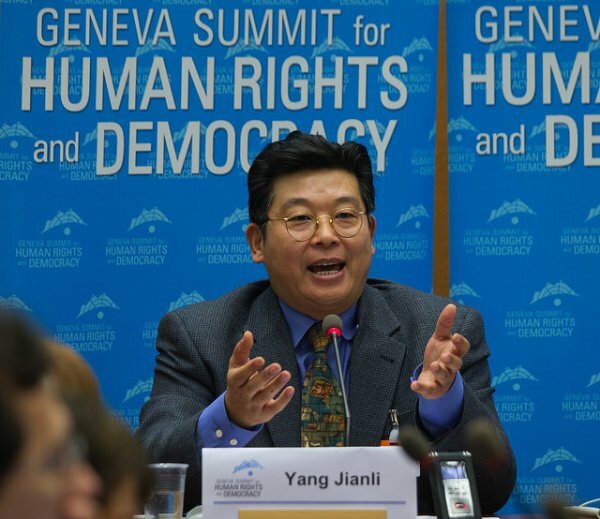 The Unrepresented Nations and Peoples Organization (UNPO) is delighted to praise Dr Jianli Yang, Chinese dissident and human rights activist for over 25 years, for his significant efforts to bring together different ethnic, religious and political groups from the territory of the People’s Republic of China and in getting them to work together to promote their common goals. UNPO commends his commitment to the non-violent struggle for human rights and democracy. For the past quarter of a century, Mr Yang has seen as his mission to facilitate a peaceful transition of the PRC to the respect of human rights, genuine rule of law, and democratic governance for all. He believes that such a transition can only be achieved by the peoples themselves, through united efforts but also thanks to the support of the international community and influential individuals. To this end, he is dedicated to promote programmes that educate, encourage, and unify the peoples under the rule and threat of CCP, and also empower democracy advocates around the world. The organization he founded, Initiatives For China/Citizen Power for China, is about to hold its 11th Interethnic and Interfaith Leadership Conference, which brings together Tibetans, Uighurs, Mongols, and Han Chinese, as well as Christians, Buddhists, Muslims, and Falun Gong practitioners, leaders of the Hong Kong Umbrella Protest movement, and representatives from Macau and Taiwan, as well as statesmen, scholars, and officials of major human rights NGOs. These conferences have steadily grown in the past few years and are now widely recognized as the single most important forum for the united pursuit of peaceful transition for China. They mark the first successful attempt to unite leaders from all of these ethnic, religious and regional groups and human rights advocates to work jointly to press for changing the Chinese Communist Party dictatorship. Equally important, they are known for the way the Conferences, under Dr Yang's guidance, promote mutual respect, understanding, and cooperation among these very diverse groups. Born in China and official of the Communist Party in his early youth, Dr Yang is a Tiananmen Survivor and has since lived mostly in the United States, where he has completed his studies, which include a PhD in Mathematics (Berkeley) and a PhD in Political Economy (Harvard). Co-author of a democratic constitution for China in 1999, Dr Yang was also imprisoned for five years in China in the early 2000s, when he was teaching labour rights activists how to carry on a non-violent struggle. Recipient of numerous international awards, Dr Yang is a renown human rights activist and an important advocate of changes that will hopefully come soon, so that all the peoples of China can see their human rights respected and their cultures, languages and traditions preserved and awarded the recognition and respect they deserve.